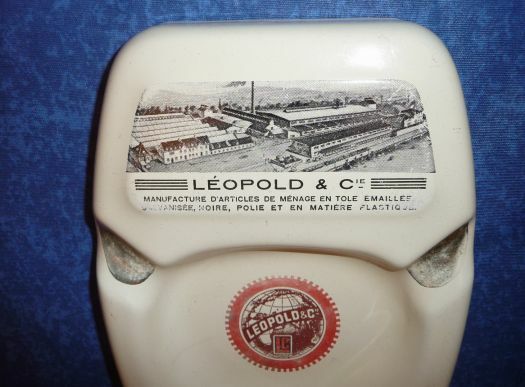 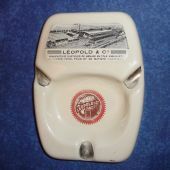 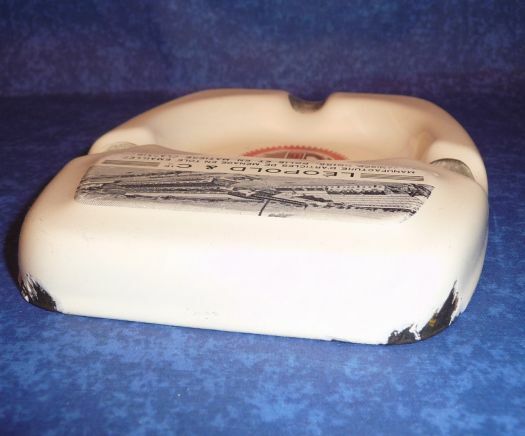 Rare advertising ashtray for an enamelware manufacture (Leopold & Cie). 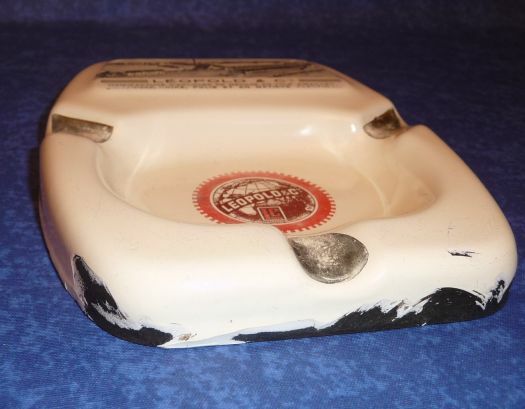 There are some chips on the edge (please look at photos). 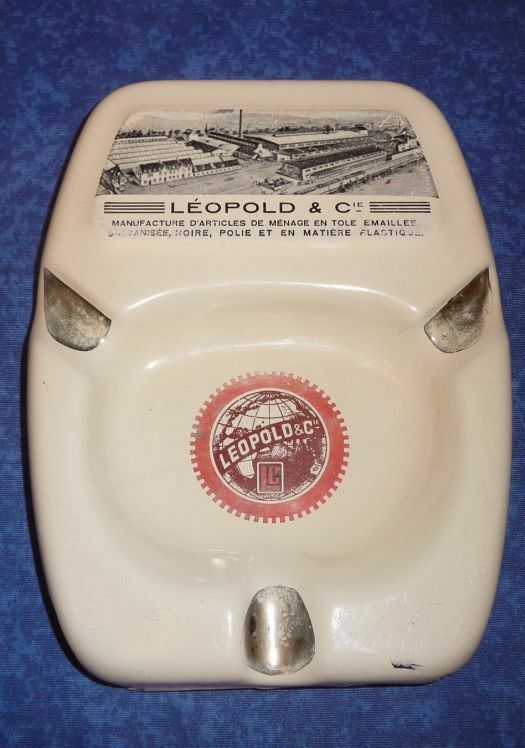 14,4 cm x 11 cm ; height 1,7 cm.